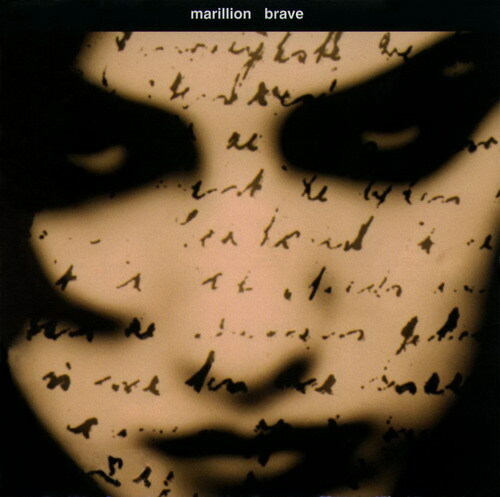 Marillion's 1994 release is one of the most boring albums I have ever heard. It mostly fluctuates between insipid keyboard-based droning to uninteresting rock, and the engaging moments are few and far between. The sputtering effects applied to the vocals are something of an interesting distraction; in some places, it works, and in others it just sounds bad. The volume is also something of an annoyance; when it's quiet, it's almost silent, but things can become very loud without warning, making me reach for my volume control an uncomfortable number of times. The bottom line is that it's just hard to stay awake. "Bridge" The first couple of minutes of this album consists of a sleepy atmospheric synthesizer and quiet vocals. "Living with the Big Lie" The second song shows promise despite a lethargic introduction, especially with the heavier moments in play. The spirited guitar work sits nicely against the chunky bass and the seemingly improvised vocals toward the end. This is one of the better tracks, however, which is not saying much. "Runaway" Clean guitar begins a more straightforward, late 1980s-sounding rock song. The bass and piano interplay in the middle makes for one of the best moments of the album. "Goodbye to All That" On this longest track, drowsy, synthesizer-based parts are interspersed with heavier fare. A riff somewhat similar to the introduction to "Tubular Bells" comes in, followed by a more exciting section in 7/4 time. The guitar solos and the eventual guitar swells are really the highlight of the piece. It's easy for this sprawling song to lose my attention, but it is by no means bad work, and it does end spectacularly. "Hard as Love" This is classic rock music, and sounds similar to Tom Petty and the Heartbreakers. It slows down (of course), to quiet piano, vocals, and a slide guitar leading back into the edgier part. There's a riveting organ solo thereafter, but it's a bit out of place with the rest of the music. I honestly can't decide if I like all the curt reverb on the vocals. "The Hollow Man" More quiet vocals over piano begin this track. There isn't much else to it than that. "The Lap of Luxury" A speedy guitar lick kicks off this second long piece, but rather than be a hard rock song as expected, it's another clean guitar-based 1980s-sounding pop song. I could honestly see this as a popular Rick Springfield number. "Paper Lies" This song is more like a heavy John Cougar Mellencamp song- not my thing at all. "Brave" The bagpipe introduction is a nice touch, but it fooled me into believing I would actually like the song itself. Yet again, this is a synthesizer pad and vocal song exclusively until over four minutes in, and then it remains uninteresting, as the clean guitar and bass just add to the monotony. "The Great Escape" By now, I would think Marillion would shake things up, but this one is just more dull music with drowsy vocals. Steve Hogarth's singing does get interesting after a bit, however, but things return to the bland rock that over half the album seems to consist of. "Made Again" Of course, this album wouldn't be complete without another wearisome soft song. The acoustic guitar adds much need variety to the album, but by this point, it's too little and too late.